Even though the Finns prefer to celebrate the “Day of Friendship” on February 14th instead of St. Valentine’s Day , they still know how to be romantic. The Finnish newspaper Nyt (the word for “now” in the Finnish language ) has published a top-5 list of the most romantic spots in Helsinki. Since the list is in Finnish we jumped quickly to translate it, in order to tell you the places to steal a kiss in the capital of Finland. The list was gathered for St. Valentine’s, so these recommendations are thought for a moment of cold weather in Finland. Since we are now in the Ruska time  and the cold is coming, we thought it is the perfect time to publish it. But do not worry: most of these places can be enjoyed during the Summer in Finland  too. Has your significant other ever told you that you need to make more romantic gestures? It has happened to all of us, I guess (not to me, but to a friend). If it is true in your case, you can surprise your other half with a trip to Helsinki and visit one of these ideal romantic spots. 1.- Hietaniemi beach. Hietaniemi is a nice neighborhood in Helsinki. It has a park-like cemetery where the state funerals take place and where important Finnish figures such as Alvar Aalto or Mannerheim rest forever. Nonetheless the Hietaniemi beach – the biggest beach of Helsinki – is the real romantic spot. 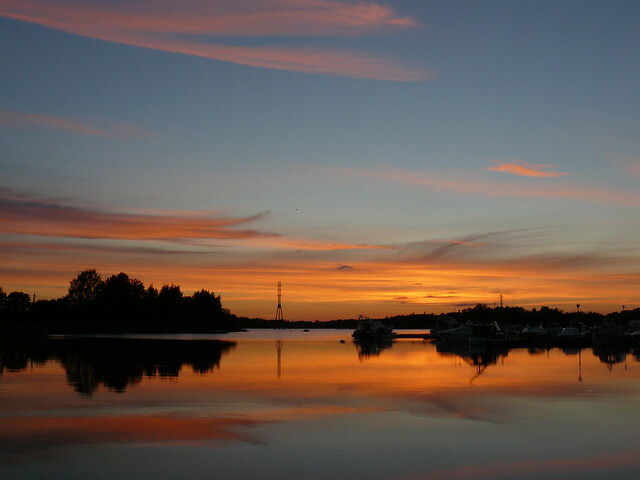 The Hietaniemi beach, in summer, and at sunset time. That adds up to romance. Source (CC: by) . The beach is near the cemetery, but not adjacent to it. It lies next to a nice forest. During winter you can see the frozen sea from the beach. To bring romance to the next level, the newspaper suggests doing a picnic on the ice, with good winter clothing and a nice hot beverage. In summer, the picnic will be easier under the sun. 2.- Any place to ice-skate. Like in a movie where you can see people skating on ice in the central square of the city, the second recommended place for romance is an ice rink. There, your partner and you can spend hours skating while holding hands, next to many other couples. The best place for this, as the article recommends, is Kallion kenttä, in Helsinginkatu; and it also suggests to go and have something hot to drink at the shop Villipuutarha, next to the ice rink. Romance and ice: hand in hand. Source (by-sa-nd) . 3.- A coffee shop in the centre where you can get some hot chocolate: a table and some mugs filled with hot chocolate is the next romantic place that Nyt suggests. 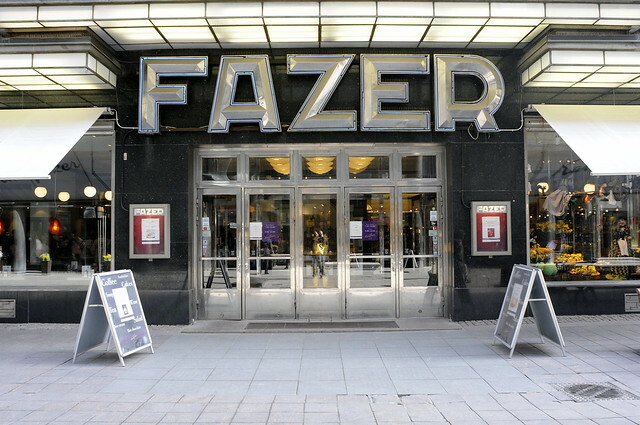 They give some concrete picks: café The Exhibitionists (Museokatu 28) and the Fazer café (Kluuvikatu 3). You two can also try, of course, authentic Finnish coffee – a beverage some people try to avoid because they say it’s bland. A romantic spot? A special coffee shop always works. Source (cc: by-sa) . 4.- The Helsinki Zoo: if you just met, walking around the zoo and asking each other which animal is your favorite could be pretty revealing of the other’s personality. At least that is what the newspaper says. If it is cold outside, you can go to the tropical houses of the zoo. A snow lion? 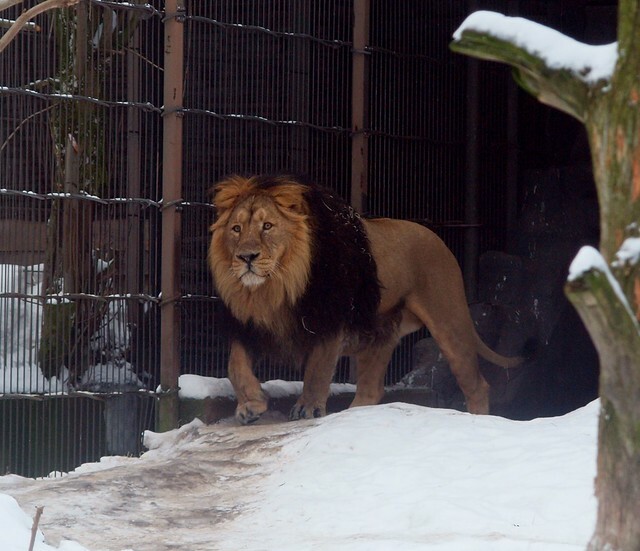 No, it is a lion on the snow. Source (CC: by-sa-nd) . 5.- The daring option: the Vermo’r race track. Why don’t you do it like Henry Chinaski and take your other half to the race track? It isn’t the same because here the horses don’t sprint, they trot. 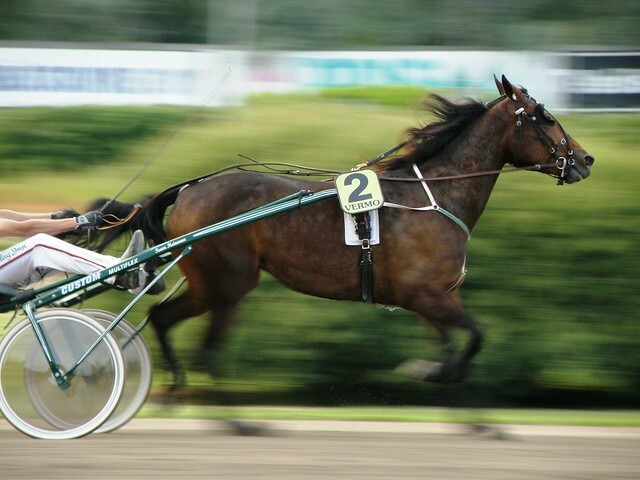 The jockey does not sit on the horse, but behind it in a two-wheeled cart called Sulki. A little more Ben-Hur than Barfly, but with the couple. A trotting horse: metaphor about love from Nyt? Source (by-sa) . Do you know any other romantic spot in Helsinki that you can recommend to us? Have you visited any of the above spots?